"I'm sorry. "With those simple words, Hillary Clinton, who thought she would wake up Wednesday as the first woman president-elect but crashed to a stunning election defeat to Donald Trump, ended her White House quest and likely her political career. The Democratic nominee unequivocally conceded the presidential race, and said that the Constitution requires a peaceful transfer of power. "Last night, I congratulated Donald Trump and offered to work with him on behalf of our country. I hope that he will be a successful president for all Americans," Clinton said. "Donald Trump is going to be our president. 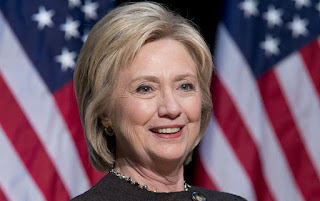 We owe him an open mind and a chance to lead," said Clinton, who was composed and dignified even as she admitted how painful her defeat was in her first public comments on the result of the election. "This is not the outcome that we wanted and we worked so hard for, and I am sorry that we did not win this election," Clinton told supporters and campaign workers in New York. Clinton also addressed the historic achievement for which she twice strived in losing presidential campaigns. She then directed her remarks to women. "To all the women and especially the young women who put their faith in this campaign and in me, I want you to know that nothing has made me prouder than to be your champion," Clinton said, her voice breaking with emotion. Clinton speech was devoid of bitterness and seemed at times to be an attempt to inspire her supporters about the virtues of public service and of fighting for what they believe. But she also put Trump on notice that the core American values, which many Democrats believe Trump abhors with his proposals for a ban on Muslim immigration and rhetorical assaults on female journalists during his campaign.